TORONTO, April 30, 2018 – The Canadian accounting and audit profession is undergoing “tremendous change” and the audit of the future will be very different than what it is today. So says Brian Hunt, FCPA, FCA, the now-retired, former chief executive officer of the Canadian Public Accountability Board (CPAB), in a wide-ranging interview with Canadian Accountant. The future of audit regulation and inspection in Canada will change as well, with a greater focus on consistency of execution rather than significant inspection findings. “I think we’re closer to what audit regulation should look like than we ever have been,” says Hunt. 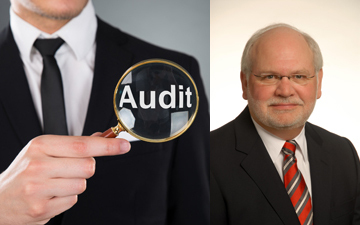 A founding director of CPAB before his appointment as CEO in 2009, Hunt is the former CEO of the Institute of Chartered Accountants of Ontario (now CPA Ontario) and current Chair of the International Forum of Independent Audit Regulators (IFIAR). He discussed the current state and future of audit and accounting regulation as a companion piece to “A Material Retirement,” which focuses on the changing role of audit committees, penned by this writer for the Director Journal, published by the Institute of Corporate Directors. The challenge for CPAB will be in determining whether the firms are extracting the right data. “Who do we need to bring on board to do that?,” asks Hunt rhetorically. The cost of hiring skilled data analytics personnel would be prohibitive for CPAB. Hunt sees instead a solution in the potential for international regulators to pool their resources. Under Hunt’s stewardship, CPAB has moved to evolve its inspection approach to incorporate additional operational reviews of the effectiveness of firm structure, accountabilities, quality processes, and culture. A significant inspection finding is defined as a deficiency in the application of generally accepted auditing standards that could result in a statement. In its “2017 Big Four Inspections Report,” in which CPAB reported on the resuts of 86 audit engagement files of the large firms, the number of deficiencies have continued to drop over a three-year period. But the numbers, explains Hunt, tend to fluctuate each time a new factor, such as regional or mid-tier firm engagements, are added to the annual review. He is “frankly, very excited” about CPAB’s audit quality indicator (AQI) pilot project. In 2016, CPAB launched an AQI pilot project with audit committee chairs and their management teams, in which participants were encouraged to select a limited number of indicators (five to 10) in the first year of the pilot covering audit execution, firm level metrics, management indicators, engagement team and client service indicators. One of the positive outcomes of CPAB AQI pilot project, is the closer collaboration and awareness demonstrated by the three traditional parties in an audit — the audit committee, the audit partner and the preparer (the CFO). “It’s not only the audit committee chair that’s becoming more aware, it’s the entire audit committee,” says Hunt enthusiastically. On the subject of AQIs, Hunt praises the relationship between CPAB and its American equivalent, the Public Company Accounting Oversight Board (PCAOB) and its Office of Research and Analysis. The two regulatory agencies share a common narrative dating back to the Sarbanes-Oxley Act of 2002, which created the PCAOB and, by extension, led to the founding of CPAB. Hunt says that globally, in terms of audit, the big firms still face audit challenges, including in the U.S. “They’re not consistently executing, in terms of audit. We see it in Canada — our results are better but there’s a real consistency issue and [the firm] have to look at their quality processes and manage their entire portfolio more effectively — but we see that in the U.K., we see it in Japan, we see it in Australia. As Hunt’s role as the current Chair of IFIAR continues, he looks forward to meeting with the new chairman, and discussing the Canadian inspection process and CPAB’s work on AQIs. They are a large but by no means his sole legacy as a founder and steward of independent audit regulation in Canada.